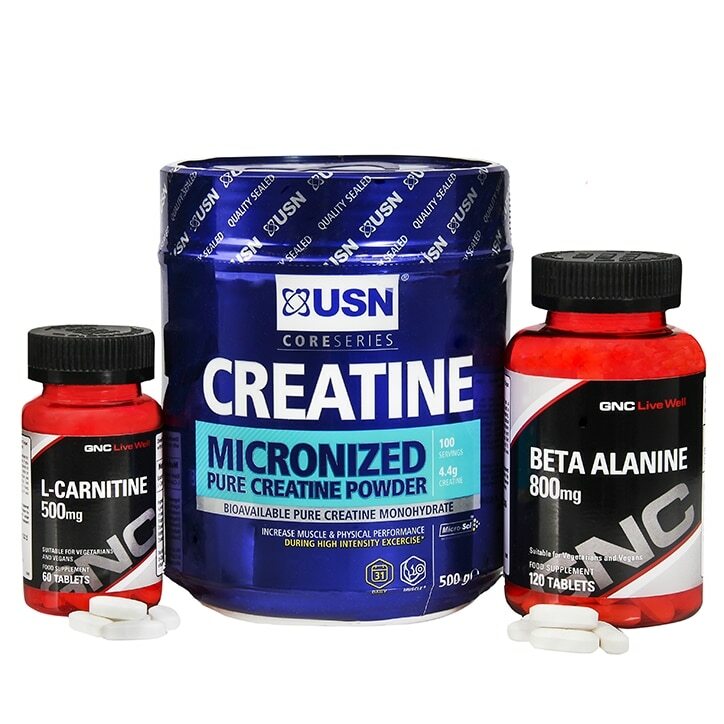 Our stack of three popular supplements combine ingredients which may help enhance the body's overall training capability and boost your overall performance. 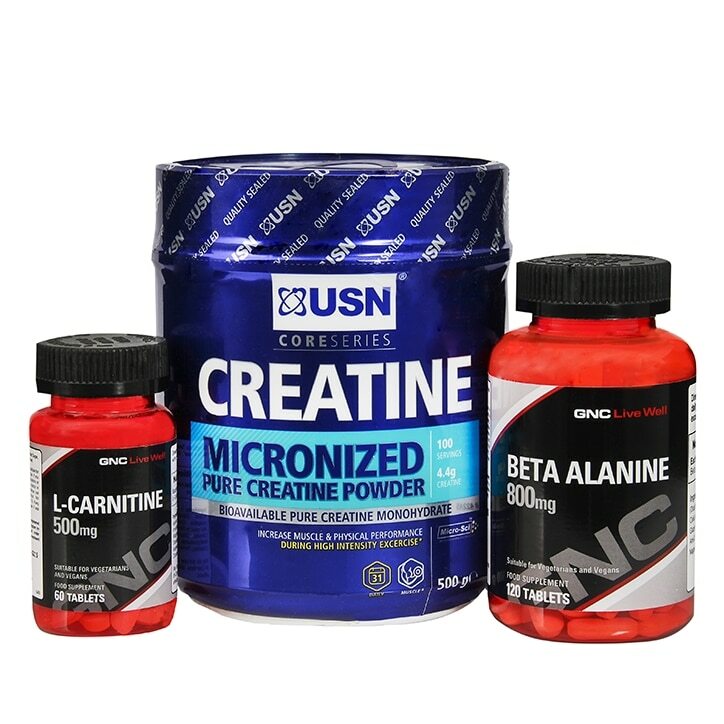 Beta Alanine, Bulking Agents (Dicalcium Phosphate, Microcrystalline Cellulose), Anti-Caking Agents (Silicon Dioxide, Magnesium Stearate), Sodium Carboxymethylcellulose, Glazing Agents (Hydroxypropyl Methylcellulose, Triacetin), Maltodextrin, Emulsifier (Polysorbate 80). L-Carnitine L-Tartrate, Bulking Agent (Microcrystalline Cellulose), Anti-Caking Agents (Stearic Acid, Silicon Dioxide, Magnesium Stearate), Glazing Agents (Hydroxypropyl Methylcellulose, Sodium Alginate, Triacetin, Shellac, Ammonium Hydroxide, Sorbic Acid, Carnauba Wax), Colour (Titanium Dioxide), Sodium Carboxymethylcellulose, Maltodextrin (Sulphites), Emulisifier (Polysorbate 80).